More info on Berkley Square in West Las Vegas! Survey and inventory of historic resources should be an integral part of every city’s redevelopment process. 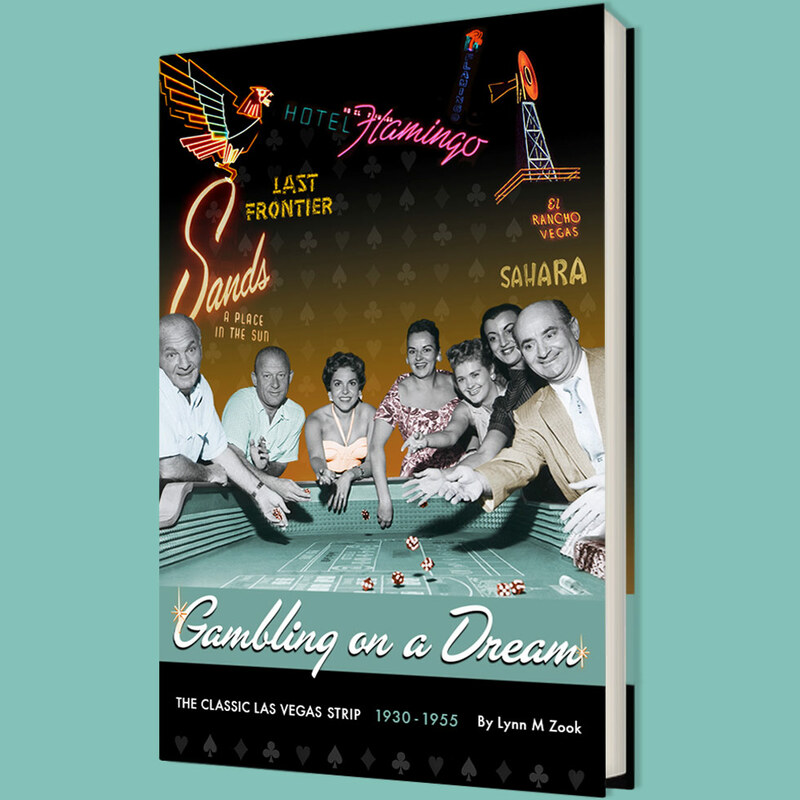 This type of research is not only a valuable economic planning tool but also an exciting opportunity to unearth valuable gems, as was the case with a study of West Las Vegas, a historic, predominantly African American, area of Las Vegas, Nevada. The City of Las Vegas’s Historic Preservation Plan calls for the ongoing documentation of historic neighborhoods and properties. Each year, the City of Las Vegas Planning and Development Department applies for grant money from the National Park Service’s Historic Preservation Fund for survey and inventory through the State Historic Preservation Office. In 2002, the award funded the research of the “Historic Westside” area. The rediscovery of the origins of the Berkley Square neighborhood in West Las Vegas, a post-World War II subdivision marketed to African Americans, began with a chance newspaper research find during this 2002 survey. (Figure 1) Two newspaper articles published in December 1949 announced the opening of a new subdivision named “Westside Park,” with 155 tract houses designed by a “famed” African American architect, Paul Revere Williams. (1) Because the development site was outside the 2002 survey boundaries in an area now called Berkley Square, this information became a side note in the historic context statement. In 2004, discussions about moving the La Concha Motel’s mid-century, free-form concrete lobby again raised the name of architect Paul R. Williams. (Figure 2) Williams was well known for his movie-star homes and public buildings in Los Angeles, such as Frank Sinatra’s Trousdale estate and the Los Angeles County Courthouse. With the potential connection to the West Las Vegas subdivision in mind, the City of Las Vegas Historic Preservation Commission began discussing Berkley Square as a possible survey area for the 2004 National Park Service grant. Several issues complicated the decision to survey this area. The 1949 articles referred to a development called Westside Park, but the subdivision was now called Berkley Square, with county assessor information showing construction dates of 1954-55. What happened between 1949 and 1954? Were the Berkley Square homes actually designed by Williams? All the Historic Preservation Commission had to go by were documents describing a land sale and a current photograph of a house that resembled the architect’s sketch accompanying the 1949 articles. The Commission voted to include Berkley Square in the 2004 survey and hired a historic preservation consultant, Diana Painter of Painter Preservation and Planning, to document the neighborhood and solve the mystery. Painter began by documenting and photographing all buildings within the neighborhood, providing a Nevada State Historic Resource Inventory Form for each. A historic context statement was prepared to help assess the importance of the properties within the contexts of Las Vegas history and mid-century residential design. In addition, research was conducted at the historical society, local libraries and museums, and the Environmental Design Library at the University of California at Berkeley. Painter also used information from a previous interview with Karen Hudson, Williams’s granddaughter. From this research, she was able to stitch together compelling arguments for a probable link to the Los Angeles architect as well as for eligibility for listing on the National Register of Historic Places. Besides attracting a famous clientele and important public commissions, Williams was the first black architect to become a member of the American Institute of Architects and served on the California Housing Commission and the California Redevelopment Commission. He published two pattern books on small houses, Small Home of Tomorrow (1945) and New Homes for Today (1946). (2) By 1949, he had won three national competitions for small home design, and he would eventually design military housing and other housing stock for subdivisions. According to his granddaughter, the modernized ranch house became his specialty. Williams’s design for Berkley Square filled a desperate need for adequate housing in West Las Vegas. Platted by surveyor J.T. McWilliams in 1905, settlement began as a wayside for miners. It was hoped that the arrival of the railroad would bring prosperity, but these hopes were unrealized. The railroad company owned most of the land east of the completed tracks, as well as all of the water rights, effectively controlling development for decades. During the 1930s, McWilliams’s Townsite, now called “the Westside,” had few permanent buildings, but blacks were free to own businesses and live on the east side of town. Subsequent segregation practices in Las Vegas forced most of the black families to relocate to the Westside. Well into the 1940s, the area lacked basic amenities such as sewer and paved streets, with sometimes two or more families living in small, one-room wood shacks. Low-income minorities and whites continued to find refuge here, with the black population having the strongest cultural presence. A community of churches, businesses, and nightclubs was formed using the residents’ own resources and ingenuity. Adequate housing lagged far behind, however, especially during and after World War II, when many black soldiers returned home or residents lost their jobs at the local Air Force base or military industrial plants. Westside Park/Berkley Square was the result of “four years of planning, designing and negotiating with government officials, by a group of local businessmen endeavoring to make the first real contribution to improvement of conditions on the city’s Westside.”(3) It was sorely needed in 1947, when the Federal Housing Administration (FHA) began discussions with the City of Las Vegas to develop a “new 2-bedroom project for colored people…with Federal Housing insured loans.”(4) The property changed hands several times, but finally in 1954 with new owners, Edward A. Freeman and J.J. Byrnes, the subdivision was recorded as Berkley Square with 148 lots on 22 acres.